SHE WAS USED TO ENFORCING THE LAW, NOT BREAKING IT. BUT TO SAVE HER SISTER SHE HAD NO CHOICE. The Cote d’Azur. Jewel of France. A hundred miles of beach-bordered, palm-fringed coastline that includes those other jewels, Monte Carlo and Cannes, not forgetting Cap Ferrat with its billionaire homes overlooking the blue Mediterranean. And of course Nice. Nice represents the dark side: protection rackets, prostitution, drugs, illegal immigration, and lately kidnapping for ransom. A series of high-profile abductions has the police floundering. The latest victim is Steve van Houten, a vacationing American with a billionaire father. His eighteen-year old companion, Charlotte MacNeal, is scooped up with him. But Charlotte is no ordinary tourist. She is there to visit her half sister, Brigitte Janneau - a.k.a. ‘Bardot’ from her resemblance to the movie diva in her early career. 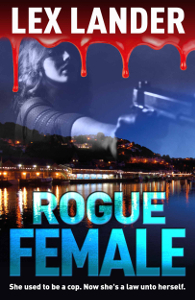 Brigitte is a former undercover officer with the Nice National Police, now unemployed following her dismissal for the unlawful killing of a wanted hoodlum. A ransom of ten million euros is demanded for van Houten’s safe return. Brigitte, bent on rescuing Charlotte, sets out to track down the kidnappers, brushing aside the efforts of the Police Commissioner, who has an agenda of his own, to obstruct her.